The new kids on the block GOT7, JYP Entertainment’s newest boy band, will be releasing their second EP since debuting in January. The upcoming EP is slated to drop on June 23 and according to an announcement by JYP representatives on Thursday, the seven members will hold a one-night fan showcase prior to the official release of the album. The upcoming fan showcase will be exclusively for “IGOT7” fan club members on June 18 at Uniqlo AX Hall in Gwangjin-gu, Seoul. The fans will not only have the opportunity to see the members perform their previously released singles, but the official fan club will also be among the first to see GOT7 perform the songs off its new album. Equipped with high-flying flips and tricks, the seven members of GOT7 ― leader JB and Jr., of the former JJ Project duo; Mark; Jackson; Bam Bam; Youngjae; and Yoogyeom ― first entered the limelight after appearing in a performance battle episode of YG Entertainment’s reality TV series “WIN: Who is Next?” last year. Shortly after, GOT7 debuted with its first lead single “Girls Girls Girls,” which was written and produced by JYP CEO and K-pop producer Park Jin-young. 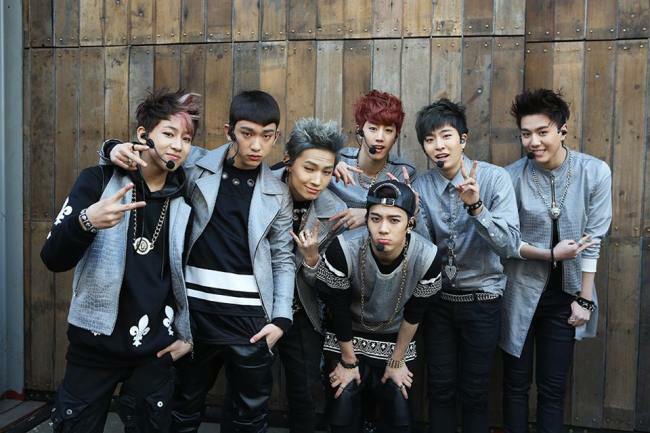 Their debut marked JYPE’s first major idol boy band since 2PM launched six years ago. Seeking to make a new generation of JYPE, looking young, hip and full of energy, GOT7 is a performance-heavy boy band emphasizing gravity-defying B-boy- and martial arts-influenced dance moves. On top of preparing for their upcoming showcase and new EP, the members have also been appearing on weekly reality TV program “I GOT7,” which can be seen every Tuesday night on SBS MTV.